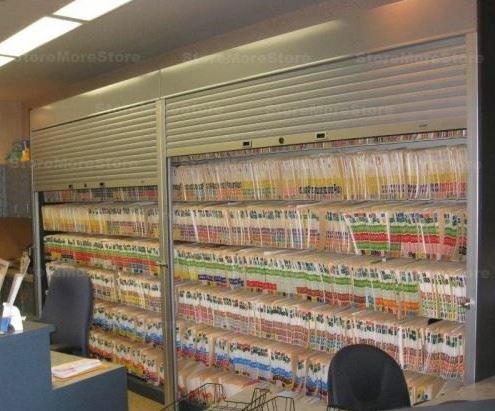 What Does HIPAA Mean for Your Healthcare Organization? HIPAA, or the Health Insurance Portability and Accountability Act of 1996, is a federal law enacted by Congress to reform and standardize healthcare. Under the “Administrative Simplification” aspect of this law, the DHHS established the “Privacy Rule” to create national standards for the protection of personal medical records and other health information. To comply with the HIPAA law, healthcare organization must have safeguards – including physical barriers – to protect people’s health related information. 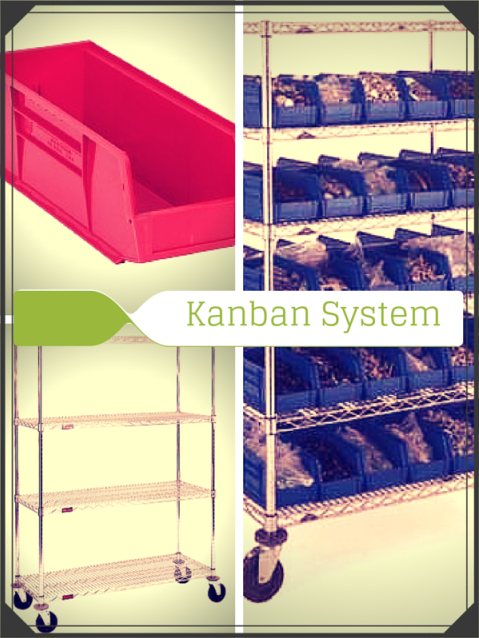 So what can your organization do to maintain compliance? 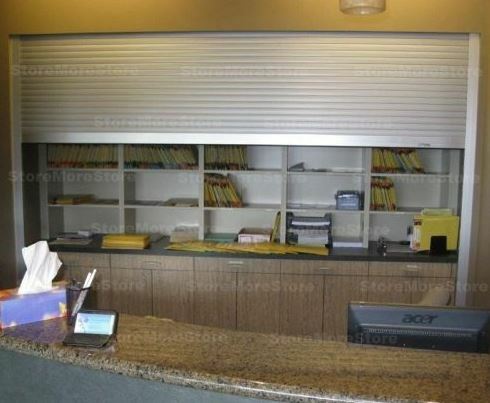 Add Protection Security Shutters to all your open shelving. 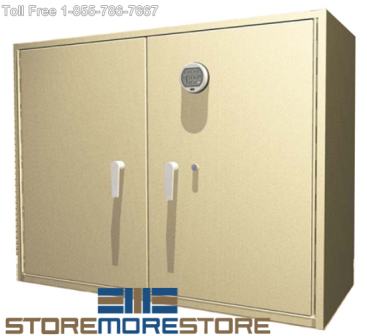 StoreMoreStore offers numerous Protection Security Shutters that will cover your open shelving to keep you in compliance with HIPAA guidelines. 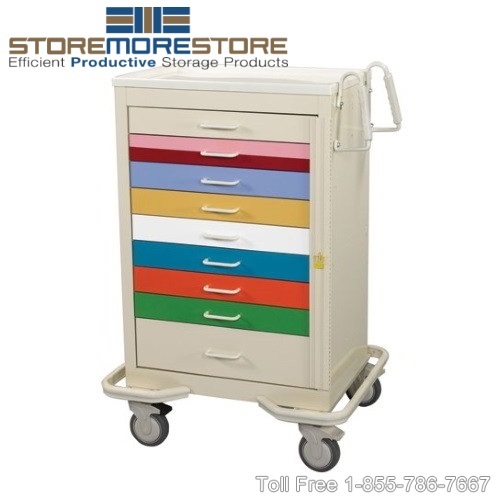 At StoreMoreStore, we are committed to providing practical and inventive storage solutions to all types of markets including healthcare facilities. 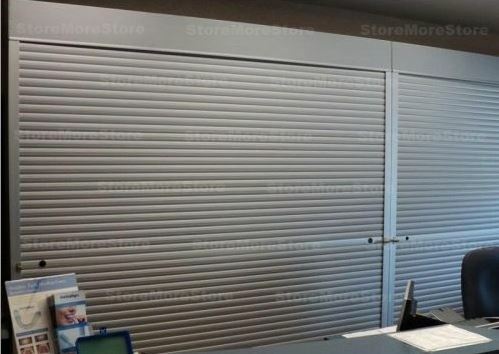 Shop online now to find all of our Protection Security Shutters. If you can’t find what you are looking for, don’t worry. 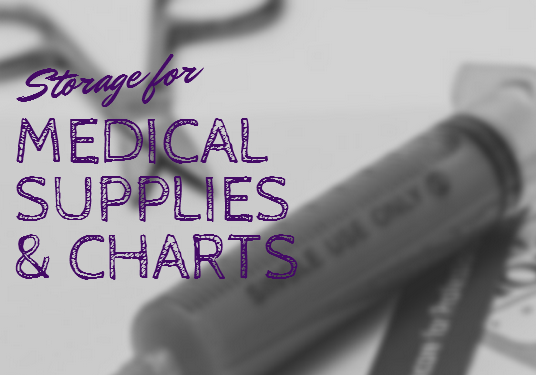 Just give us a call at 1-855-786-7667 to speak with a representative. 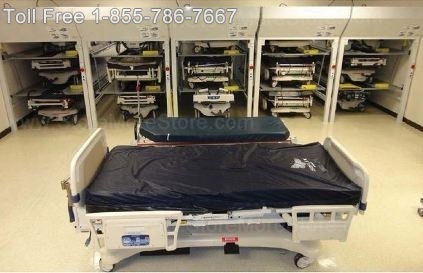 Do you have hospital beds that aren’t in use or waiting for repair lining your hospital’s corridors? 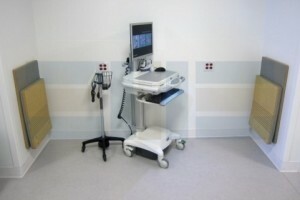 The beds not only look like clutter, they can be a major hazard for staff and patients. 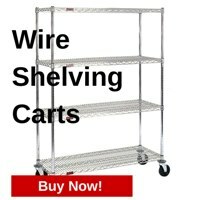 What if there was a way to get them out of the way while storing them in less space? 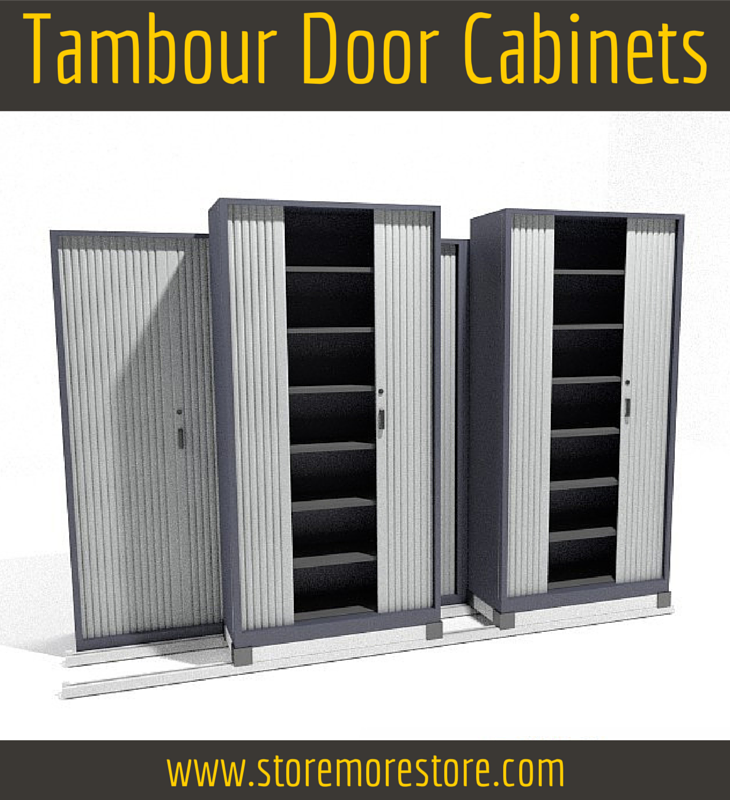 Now there is with Vertical Bed Stackers from StoreMoreStore. 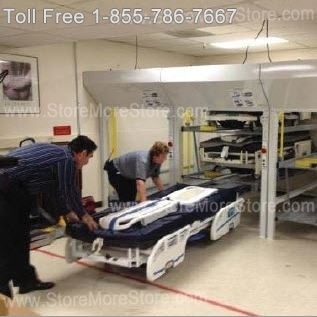 The Vertical Bed Stackers provide high capacity hospital bed storage. 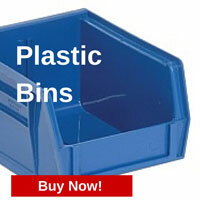 In fact, you can store up to 5 beds in the same space as 1 with this innovative new product. 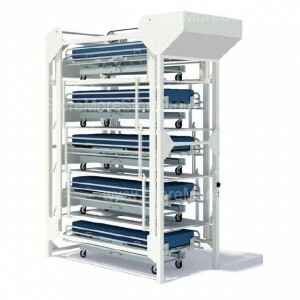 Vertical Bed Stackers are extremely easy for almost any employee to operate. 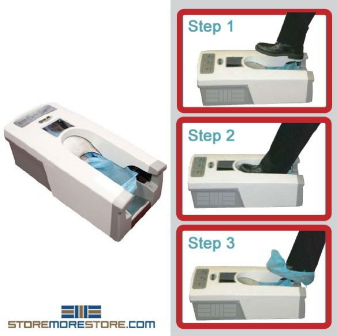 Simply position the first bed onto the stacker, push a button, and watch as it is lifted. 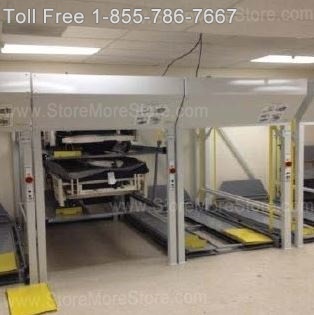 Then, all you have to do is repeat the same process until all the hospital beds are loaded in the stacker. 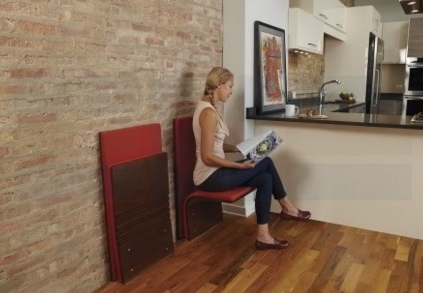 Depending on your needs, the Vertical Bed Stackers are available in 3, 4, and 5 capacities. 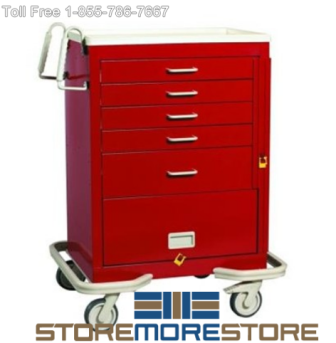 Shop online now at StoreMoreStore for all of our available Vertical Bed Stackers! 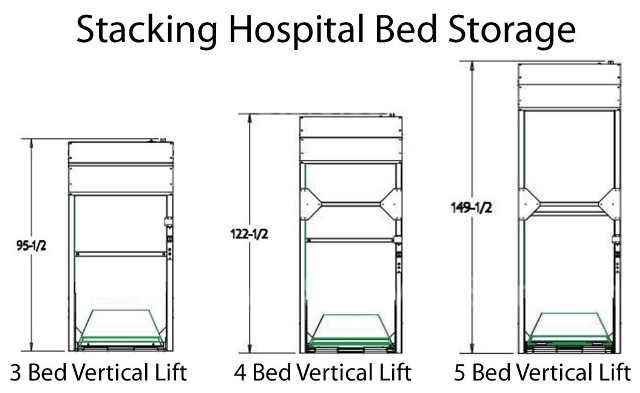 Not sure which Vertical Bed Stacker is right for your hospital? Don’t worry; just give us a call at 1-855-786-7667 to speak to one of our experienced representatives who can help.